This “Blessing of the Home” from Lily Art makes a beautiful addition to any home. This wall hanging plaque is shaped in the famous “Hamsa” design which is widely believed as potent in deflecting the evil eye. The glass artwork has a pomegranate with a rich red colored staining. 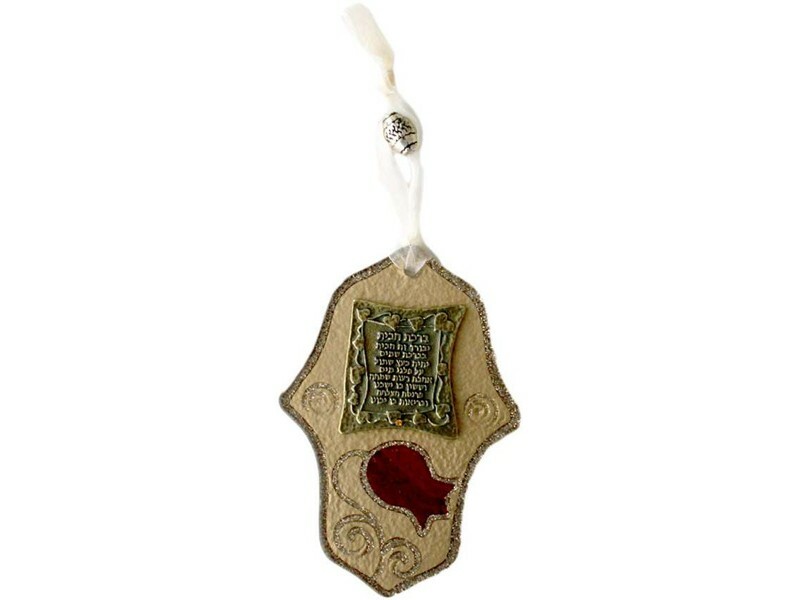 The Hebrew blessing for peace and prosperity to reside in the home is inscribed on a silver colored plate, affixed to the top of the glass plaque. The plaque comes complete with an attached decorative white ribbon and silver bead, ready to mount on a wall.